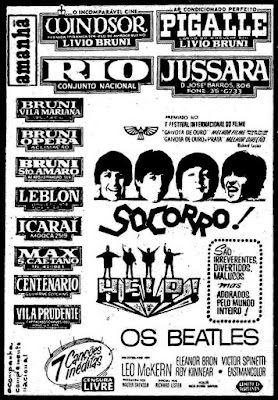 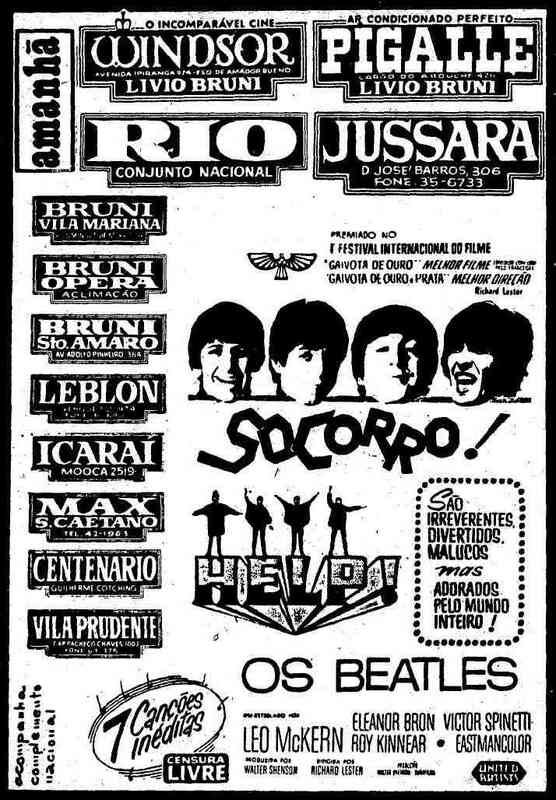 3 April 1966 - The Beatles finally open their second featured film 'Help' at Cine Windsor plus 11 other cinemas. 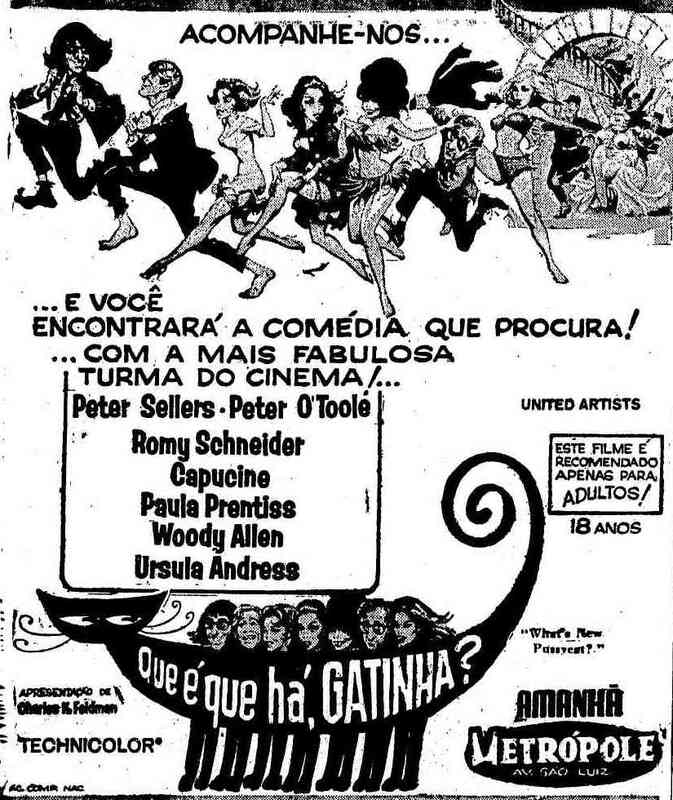 3 April 1966 - 'O que é que há, gatinha' (What's new, pussycat?) 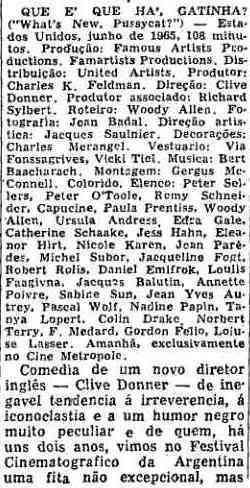 at Cine Metropole. 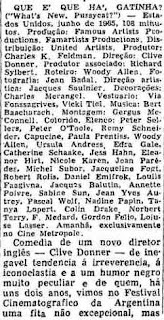 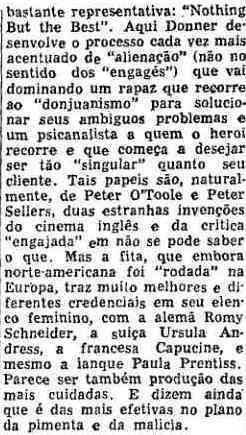 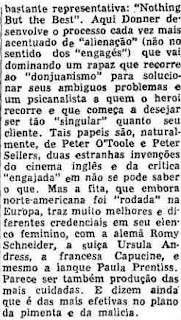 25 September 1966 - At Cine Boulevard Argentine bombshell Isabel Sarli appears stark naked at 'Favela' supported by Brazilian he-man Jece Valadão.